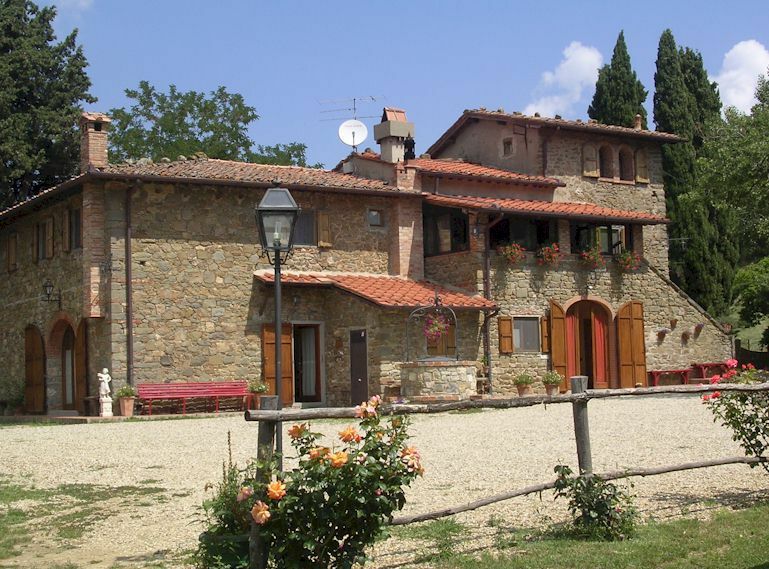 Podere Torre is a small Chianti wine and olive oil producer located high above Greve in Chianti and offering vacation accommodation for 1 to 4 persons in the form of an apartment or B&B rooms with attached shower. 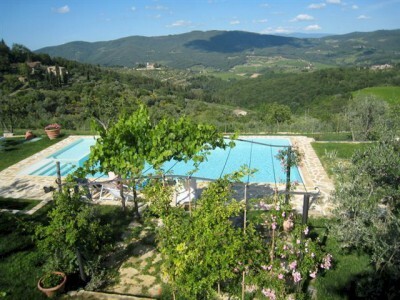 Swimming pool of Podere Torre with panoramic views over the Chianti hills. 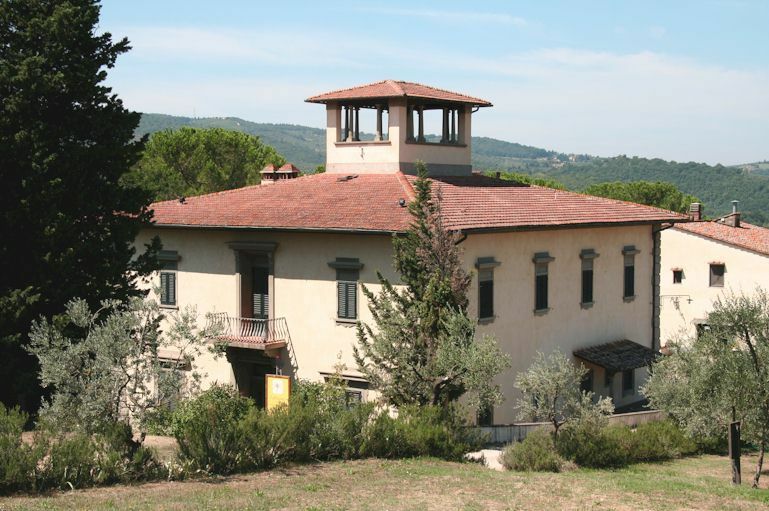 The location of Podere Torre is the secret of its success. 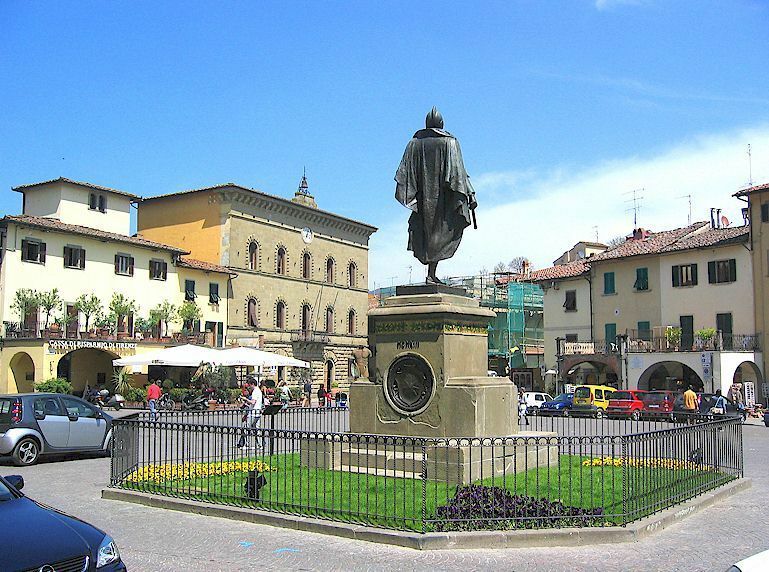 The vineyard is situated among a small group of farmhouses called Mezzuola at a high altitude in the Chianti hills above Greve in Chianti. The consequences are magnificent views out over the vineyards, olive groves and forests of Chianti, plus a summertime temperature several degrees lower than the ambient in the valley below. 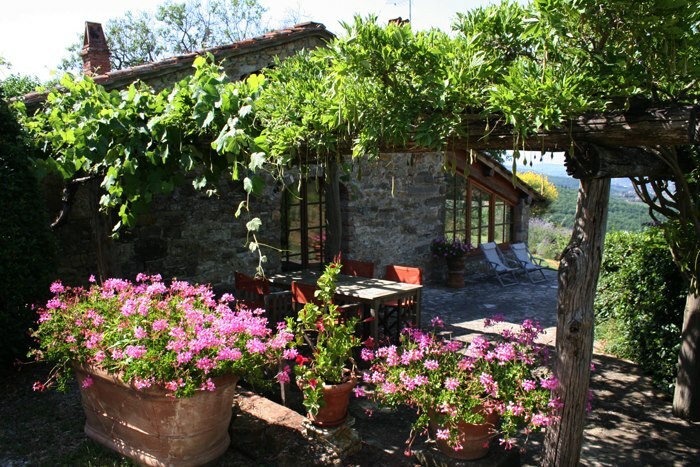 Add to that a swimming pool and the Podere becomes your ideal summer vacation location! 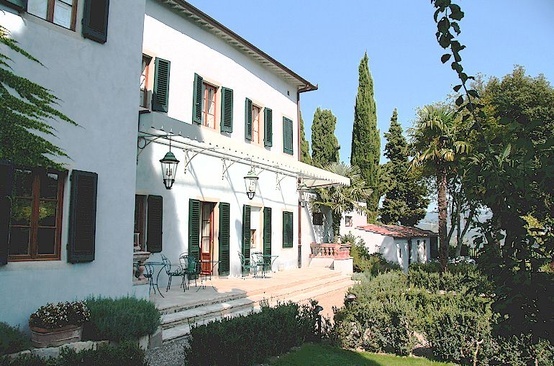 The apartment and rooms are beautifully furnished in Tuscan country style and there are rambling rose-covered verandahs available for our guests to relax in the shade. 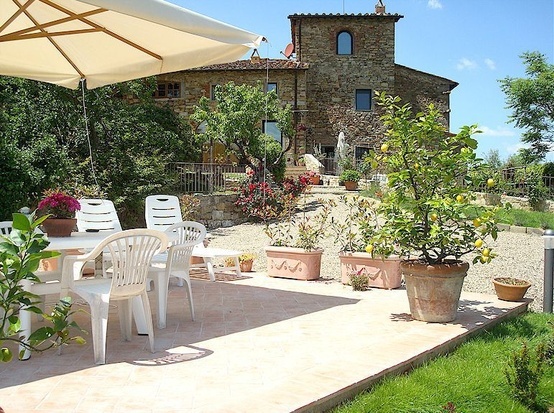 More about Podere Torre vacation accommodation for 1 to 4 persons in Chianti, Italy.